If you've ever led a small group (or tried to study the Bible on your own), you'll appreciate this comprehensive overview of the Bible. 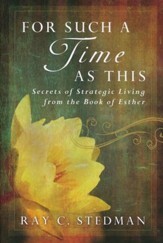 In this new, enhanced, full-color edition, Stedman uses non-technical language to explain events and characters in the Bible, illustrate and chart important movements, and offer insights into religious and social customs of Bible times. This one-stop resource for studying and understanding God's Word is an excellent tool for pastors, laypeople, and small groups. Hardcover. 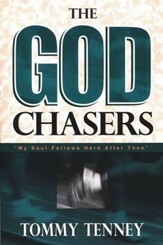 Understanding the Bible can be somewhat intimidating for laypersons. 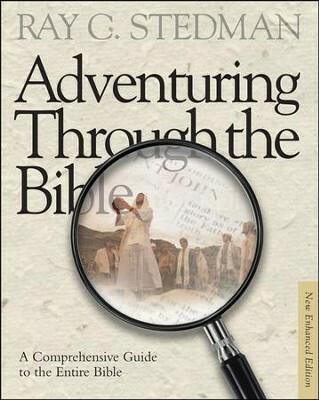 However, the revised and expanded edition of Adventuring through the Bible is designed to give readers a thorough overview of the entire Bible in an easy and exciting way. 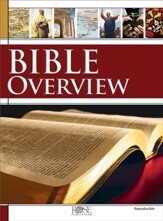 This full-color resource features more than 900 pages filled with outlines, themes, and applications to help the reader grasp the message of each book of the Bible. Including charts, maps, timelines, and images, Adventuring through the Bible provides the reader with a one-stop guide for studying and understanding Gods Word. 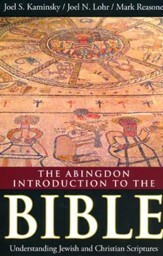 I'm the author/artist and I want to review Adventuring Through the Bible: A Comprehensive Guide to the Entire Bible - New Enhanced Edition.